Have you had to place a loved one in the care of a nursing home? The number of individuals that are able to simply answer “yes” to this question is growing as our population ages. According to the U.S. Census the population of individuals aged 45 to 64 grew 31.5% from the 2000 Census to the 2010 Census. This generation is commonly referred to as Baby Boomers. With the population of Baby Boomers aging, more individuals find themselves looking for additional resources to help care for the healthcare needs of their parents and loved ones. The decision to place a loved one in a nursing home is often not an easy one. In choosing a facility, one important factor to think about is possible abuse or neglect. 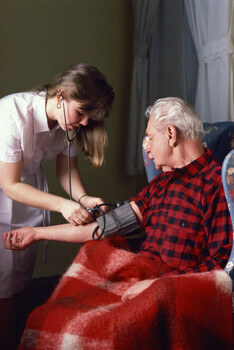 It is unfortunate, but true, that many have suffered from abuse or neglect while residing in nursing homes. Not all nursing homes are managed and operated in the same manner, and caring for patients with such a wide range of specific needs can be difficult. This is especially true when nursing homes and healthcare workers seem to be overworked and underpaid. It is always highly suggested that family members research options in acute care or rehabilitation facilities in advance of making a decision to admit a loved one. We suggest reading, Three Key Things to Consider when Looking for an Assisted Living Facility, and visiting Skilled Nursing Facilities to help you in this process. Should your loved one have the unfortunate experience of experiencing neglect or if you notice signs of neglect as a result of care in a long term care facility, Brownstein & Nguyen has first hand experience in dealing with the issue of nursing home abuse and neglect. We are your premier lawyers within the Greater Atlanta area in helping to fight for your loved ones’ rights while living in a managed care facility. If you have noticed any of the above issues, or are concerned that a loved one may be suffering, call or contact our nursing home neglect and elder abuse lawyers today.